Controllers and Controlled Processes are HCS modelling elements. They are visualized as rectangles with a label representing the name of the controller or controlled process respectively. The icon in the upper left corner indicates the type of element. Left click to grab and the Controller element, then drag and drop from the Toolbox onto the Canvas. Release the Controller where you want it to appear on the canvas, but you can reposition and resize at any time. By default, the controller is named “New Controller” and after setting the element in place on the canvas the name is immediately selected for editing. Simply rename the element by typing the new name. 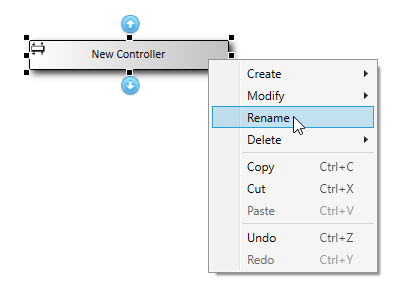 Select the Controller on the canvas, display the context menu by right-clicking with the mouse and select “Rename”. 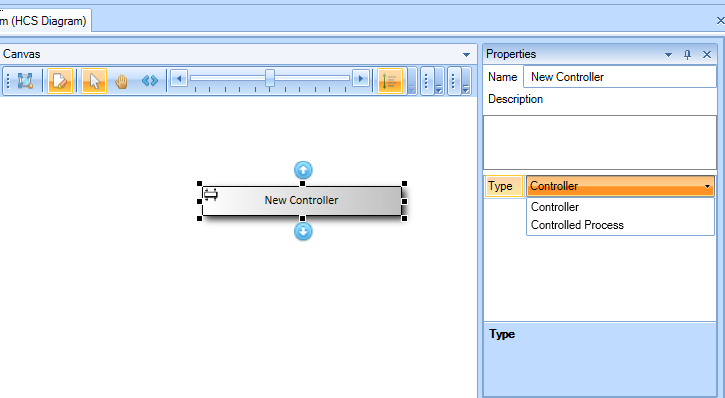 In the properties panel you may optionally capture a description for the controller after renamnig. Reminder: the “Del” key deletes the controller from the diagram only. 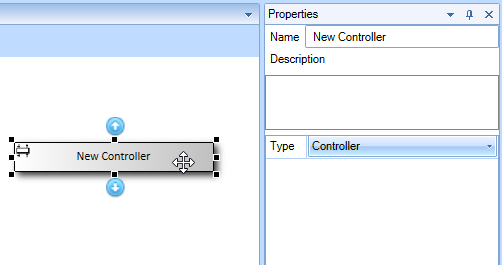 A controller may be converted into a controlled process and vice versa via the Properties panel. 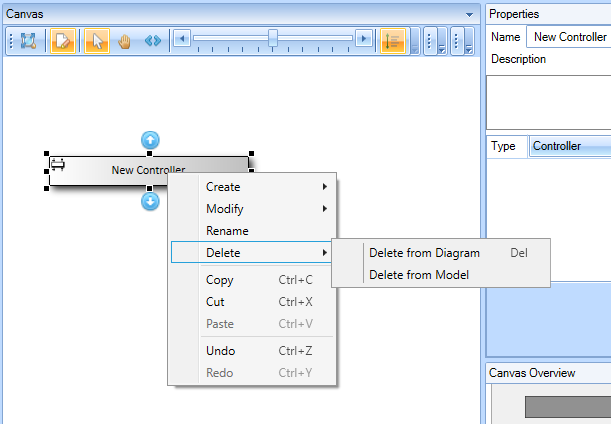 During the modeling and diagramming process, copying and pasting elements and connectors can save a lot of time. Select the copy or paste, depending upon the desired action, with left mouse click. To create a new element on the canvas, such as a controller, select the desired object from the Toolbox to drag and drop on the canvas. Alternatively, the Canvas Context Menu (right mouse click on the canvas) can also be used to achieve the same effect. Additionally, existing controllers and/or controlled processes that were defined in the ‘Diagram Elements” of the HCS model, or in other HCS diagrams, can be created in the canvas via the Context Menu. After elements are created, their displaying text can easily be edited by double clicking on them. They can also be edited via the Property Grid on the right-hand of the canvas after selecting the specified element. The Annotation Layer is very useful when diagramming and can be used within the canvas through various elements. Annotation Elements are aesthetic elements that can be used on the Diagrams for more descriptive purposes. They hold no data on their own and do not affect the Model in any way. Annotations can be enabled and disabled with a single click by using the button on the Toolbar on top of the canvas.